Driverless cars, also known as autonomous vehicles or self-driving cars, have been in development for a little while – and will be on our roads sooner than you think. But how do they work? When will they be available? Are they safe? Are they legal? In an effort to find out, we discuss the issues that driverless cars must overcome and go over the infrastructure, legislative and technological developments that must happen before fully automated driving becomes a reality. Are driverless cars available now? What are the levels of autonomous driving? When will autonomous cars be legal in the UK? What rules does a self-driving car follow? Can I drive an autonomous car now? Can you drink-drive in a driverless car? Can you sleep in a driverless car? Say ‘driverless car’ and most of us imagine a machine that needs no input from a person — just select your destination and sit back and relax while the four-wheeled robot whisks you to where you need to be. That experience is still some way off, but many new cars already offer some degree of automation — even if, for legal reasons, you still have to keep your hands on the wheel and eyes on the road. We’ll look at these in the next section. A fully self-driving car uses numerous sensors and cameras to continuously scan the area around it, detecting hazards like vehicles, pedestrians, traffic lights, and road markings and then braking, accelerating or steering accordingly. Its computer brain has the ability to ‘learn’ and make decisions based on experience, rather than following a pre-programmed set of commands — essential for dealing with changing traffic conditions or unmapped roads. It may also share information with other driverless cars to prevent accidents and ease congestion. Perhaps the most obvious example is automatic emergency braking (AEB) — now a standard feature on most family cars — that uses radars to scan the road ahead and hits the brakes if it detects an imminent collision. Increasingly sophisticated versions of AEB can spot pedestrians and animals, too. ACC, or Radar cruise control, which maintains a set distance to the car in front, is also becoming commonplace, and can reduce the stress of traffic jams as well as boosting safety at higher speeds. There’s also lane-keep assist, which steers you gently back into your motorway lane if you start to drift – and may permit brief periods of ‘hands-off’ driving, depending on the system. Available in high-spec versions of several popular models, few pieces of kit get closer to the core of driverless technology than parking assist. Using a combination of sensors and cameras, a car with this feature is essentially able to park itself, judging the size of a space before steering in if suitable. The driver controls the speed, parking assist does the rest. Technology assists the driver with some aspect of driving – by augmenting braking pressure during an emergency stop, for example. At Level Two, the car can actually take over some aspects of driving. Automatic emergency braking and lane-keep assist both fit this description. Now the car can actually drive itself, but only in certain environments (e.g. on motorways) and for very limited periods. The driver must take back control when requested. At Level Four, the car drives automatically for sustained periods without needing input from the driver. However, it can only operate this way in certain areas – roads that have been pre-mapped, for instance. Lastly, there’s complete A-to-B autonomy, with no input from the driver. As seen in countless sci-fi films, it’s the obvious end-goal for driverless cars. Currently, only Level Two vehicles are allowed to legally drive on UK roads, which means that the driver is expected to remain in control of the car at all times. However, the UK government has said it is supportive of the ongoing development of driverless cars and has set up the Centre for Connected and Autonomous Vehicles and Meridian, a centre for testing mobility technology. The Government has also invested £20 million into Driven, a world-leading consortium of British tech companies and government institutions tasked with developing Level Four driverless technology. 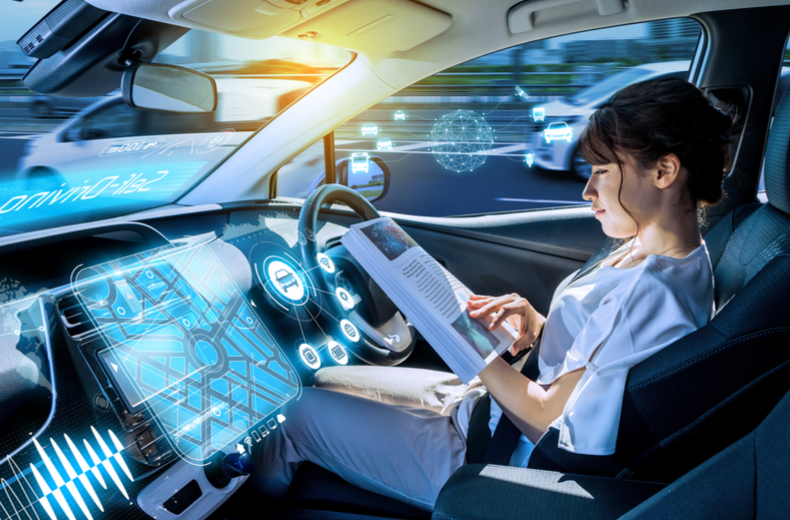 In line with this, in 2017, Chancellor Philip Hammond announced plans to ensure that “genuine driverless vehicles” would be on the UK’s roads by 2021, however at the time of writing it remains to be seen whether this will happen. The Department for Transport (DfT) currently permits driverless cars to be tested on UK roads providing they have a human driver on-board that has a manual override to take control of the car. All vehicles must also be fitted with data-logging equipment in case of an accident and must follow the usual rules of the road, with the human drivers fully licensed and liable for any offences committed. 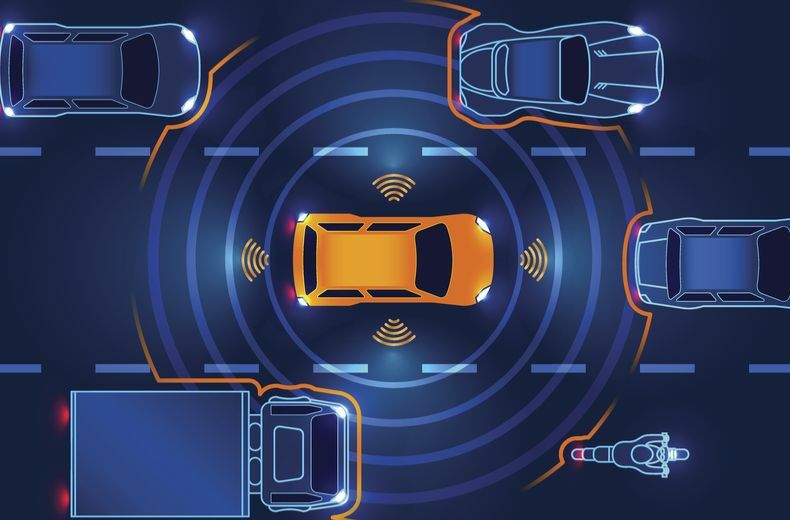 In November 2018, a DfT-backed review was launched by the Law Commission of England and Wales and the Scottish Law Commission looking at the rules self-driving vehicles will have to follow as part of a so-called digital Highway Code. One of the key questions in the review is whether automated vehicles should be allowed to break the rules for the greater good, like human drivers. Should driverless cars be able to mount the pavement to avoid a pedestrian in the road or deliberately hit a single pedestrian if it means avoiding a larger group of people? Ethical questions such as this plague the development of automated vehicles, sparking understandably impassioned arguments both for and against the new technology. Another key concern is liability in the event of an accident. This currently rests with the human driver, but in the future it’s possible that the liability for an autonomous vehicle involved in a crash will lay with the manufacturers. These dilemmas, and many more, will form a crucial part of the review and public consultation that’s aimed at helping the government meet their target of having driverless cars on the UK’s roads by 2021. Government-backed trials of autonomous cars have taken place in Bristol, Coventry, Greenwich and Milton Keynes, while Volvo, Ford and Jaguar Land Rover have also conducted their own tests on UK roads. There’s no set process for getting involved but searching ‘driverless car trial’ online brings up several options. As noted above, you’ll need a full driving licence to take part, but insurance cover will almost certainly be provided by the company or institution involved. There have been several well-publicised crashes involving driverless vehicles, but statistically they remain much safer than conventional cars with a human behind the wheel. A computer-controlled car doesn’t get tired, and it can’t be distracted by a mobile device, the radio, or kids fighting in the back seat. It also sticks rigidly to the rules of the road, obeying speed limits and leaving a safe gap to the car in front. The key concern with self-driving cars is around security. Cars, like any computer system, aren’t immune to hackers, and the prospect of your self-driving car being taken over remotely by a third-party is a terrifying one. Biometric data, such as fingerprints or iris scans, is one option being looked at to prevent this. As it stands, this is a definite no. The law says you must be in control of your car at all times, so the limits and penalties for drink-driving are exactly the same. Whether this changes with the roll-out of autonomous vehicles remains to be seen, so for now it’s best to either steer clear of alcohol altogether, find a sober friend, or take a taxi. Again, this is currently not allowed, particularly if you’re sleeping off a heavy night. However, that’s not to say that the laws around sleeping in driverless cars won’t change in the future. Some experts have predicted that driverless cars could see the end of roadside hotels as people travel overnight in sleeper cars. So, who knows, maybe one day you’ll be able to fall asleep in your car in Bristol and then wake up the next morning safe and sound in Edinburgh.